These are best served on steak rolls - slightly firm white sandwich rolls. The best and cheapest ones I have found at Walmart (I know, who would have thought!). These are great for a busy day. 1. Put roast in crockpot. Sprinkle seasonings all over pork. Add water. Cover and cook on low for 6-8 hours or on high for 4-5 hours or until pork is very tender and easy to shred. 2. 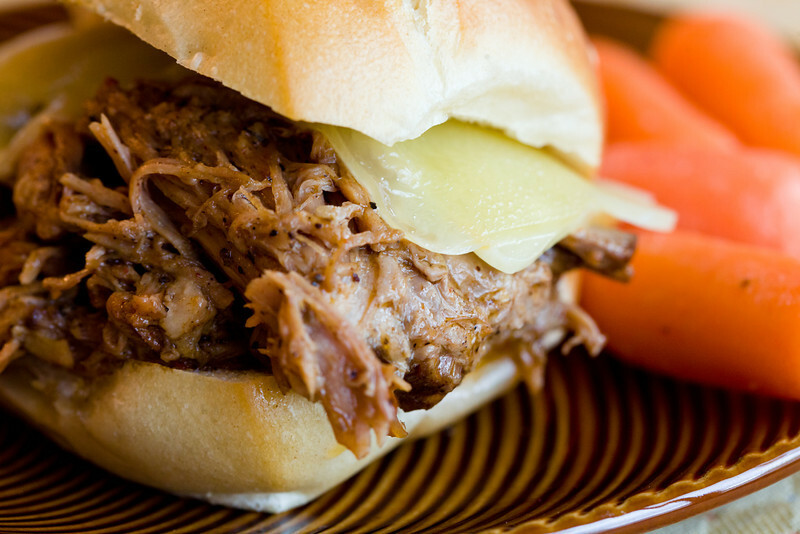 Shred pork in crockpot with a knife and fork. 3. Pour on BBQ sauce. Put lid back on crockpot and let sit for an hour. 4. Serve on toasted rolls. Add a slice of provolone or pepper jack cheese if desired.